Prominent & Leading Manufacturer from Beawar, we offer potash feldspar powder, sodium feldspar powder, feldspar powder, white potash feldspar, sodium feldspar grains and potassium feldspar. We provide the best quality of POTASSIUM FELDSPAR AND SODIUM FELDSPAR, with the best quarries in India. Enriched with best quality material and which will last for FOUR DECADES. · Enamel frits and glazes: Feldspar assists the enamel composition, assuring the absence of defects and the neatness of the end product: e.g. enamel frits, ceramic glazes, ceramic tile glazes, sanitary ware, tableware, electrical porcelain and giftware. And many other end-uses: paint, mild abrasives, urethane, welding electrodes (production of steel), latex foam, the welding of rod coating, and road aggregate. In tableware, feldspar gives a good fusibility for a product without defects. 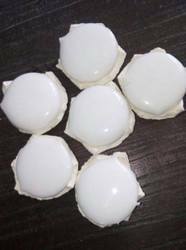 In sanitary ware, the use of feldspar within vitreous ceramic bodies is used to facilitate the optimization process. Feldspar Lumps 3 mm to 180 cm / Feldspar Powder mesh – 80, 100, 200, 325, 400 mesh. 1.2 MTS JUMBO BAGS WITH PALLETS, SHRINK WRAP AND STRIPS. 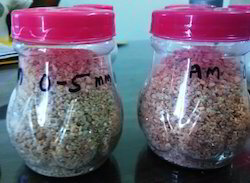 We are engaged in offering high-quality Feldspar Powder. Processed using the latest technology, the offered sodium feldspar is used in the manufacturing of enamel, ceramic and glass. Known for its purity and enhanced shelf life, the quality of the offered sodium feldspar is always maintained as per the industry laid norms. Backed by a team of skilled professionals, we are offering White Potash Feldspar to our precious clients. 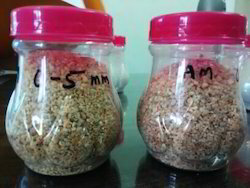 The offered Potash Feldspar Powder is used in dental porcelain, cement, ceramic for various purposes. We produce these products using supreme quality chemicals in tandem with the quality standards. These potash feldspar powders are presented in secure packing without any imperfection. Our clients can avail from us a wide range of Sodium Feldspar Grains that is used for commercial as well as for industrial purposes. Offered chemical is an important ingredient in the manufacture of glass and an important raw material as well, because it acts as a fluxing agent, reducing the melting temperature of quartz and helping to control the viscosity of glass. We are a prominent name in this industry, engaged in offering Potassium Feldspar that is free from any kind of impurity. It is the universal flux used in all types of ceramics bodies. Widely acknowledged and accredited by our patrons for its purity, effectiveness and superior quality, these offered powders are highly safe to sue and enormously demanded. Keeping in mind the exact needs of clients, we are offering a quality range of Sodium Feldspar Grains which is immensely used in the preparation of glass, enamel, glazes, ceramic, and so many other products. These products are highly commended in the market owning to their striking properties such as effectiveness, purity, light in weight and reliability. Most of the products we use on a daily basis are made with feldspar: glass for drinking, glass for protection, fibreglass for insulation, the floor tiles and shower basins in our bathrooms, and the tableware from which we eat. Feldspar is part of our daily life. · Ceramics: In the manufacture of ceramics, feldspar is the second most important ingredient after clay. Feldspar does not have a strict melting point, since it melts gradually over a range of temperatures. 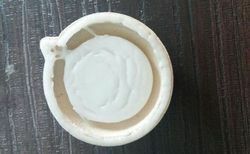 This greatly facilitates the melting of quartz and clays and, through appropriate mixing, allows modulations of this important step of ceramic making. Enamel frits and glazes: Feldspar assists the enamel composition, assuring the absence of defects and the neatness of the end product: e.g. enamel frits, ceramic glazes, ceramic tile glazes, sanitary ware, tableware, electrical porcelain and giftware. Feldspar Powder mesh – 80, 100, 200,325, 400 mesh. We have high Whiteness Potash Feldspar for Ceramic, porcelain, chinaware production etc. 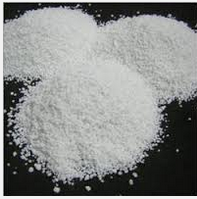 We offer a spacious array of Sodium Feldspar Powder is tremendously used in preparation of enamel, glass, ceramic, glazes, and so many other products. They are excellent finished during the whole process of development and other processing. We are considered as one of the trustworthy and prominent organization of this industry, due to our utmost efforts for maintaining the quality. As an acclaimed enterprise of the industry, we are involved in offering a broad range of Porcelain Sodium Feldspar Powder. It is immensely used in the preparation of glass, enamel, glazes, ceramic, and so many other products. These products are highly commended in the market owning to their striking properties such as effectiveness, purity, light in weight and reliability.